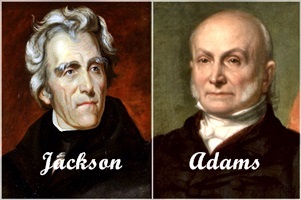 1828 – The Electoral College met and overwhelmingly elected Andrew Jackson the seventh president of the United States. Jackson, the Democratic nominee, had handily defeated incumbent president John Quincy Adams (National Republican) in the popular vote, winning 55.97% of the vote. That translated into a 178-83 win in the Electoral College. Jackson’s marriage came in for vicious attacks. When Jackson married his wife Rachel in 1791, the couple believed that she was divorced, however the divorce was not yet finalized, so he had to remarry her once the legal papers were complete. Jackson also came under heavy attack as a slave trader who bought and sold slaves and moved them about in defiance of modern standards of morality, and he was rebuked for his courts-martial, execution of deserters and massacres of Indian villages. Adams did not escape attack, either. It was charged that Adams, while serving as Minister to Russia, had “surrendered an American servant girl to the appetites of the Czar”. Adams was also accused of using public funds to buy gambling devices for the presidential residence; it turned out that these were a chess set and a pool table. 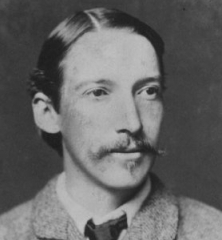 1894 – Author Robert Louis Stevenson (Treasure Island, Kidnapped, Strange Case of Dr, Jekyll and Mr. Hyde) died of a cerebral hemorrhage at the age of 44. 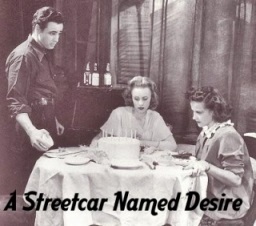 1947 – A Streetcar Named Desire by Tennessee Williams opened at the Ethel Barrymore Theatre on Broadway. The show would run for more than 800 performances, turning Marlon Brando into an overnight star. Jessica Tandy won a Tony Award for her performance, and Williams was awarded the Pulitzer Prize for Drama. 1960 – Camelot opened at the Majestic Theatre on Broadway. 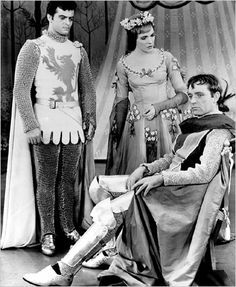 Richard Burton and Julie Andrews played the leading roles in the musical written by Lerner and Loewe. The show had a run of 873 performances. 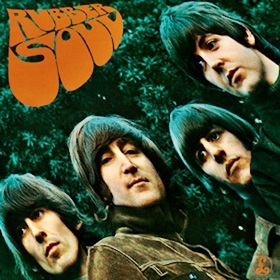 1965 – The Beatles released their Rubber Soul album in England – and in the U.S. three days later with a slightly different track listing. It was a masterpiece – one that made the Beatles realize how far they could go inside a recording studio. After that, they never looked back. 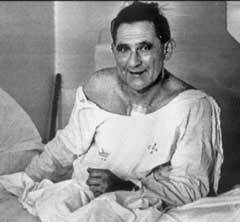 1967 – 53-year-old Lewis Washkansky received the first human heart transplant at Groote Schuur Hospital in Cape Town, South Africa. Washkansky, a South African grocer dying from chronic heart disease, received the transplant from Denise Darvall, a 25-year-old woman who was fatally injured in a car accident. Surgeon Christiaan Barnard, who trained at the University of Cape Town and in the United States, performed the revolutionary medical operation. 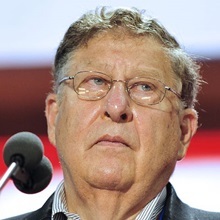 Eighteen days after the operation, Washkansky died of double pneumonia. His new heart, however, beat strongly to the end. 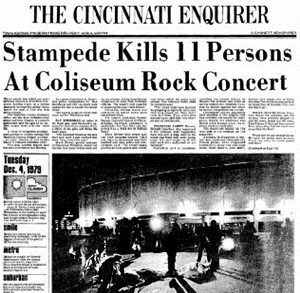 1979 – Eleven people were killed in a crush of fans at Cincinnati’s Riverfront Coliseum before a rock concert by The Who. All of the 18,348 tickets for the concert, which cost $10 each, sold out in 90 minutes. The majority of those tickets – more than 14,000 – were for unreserved seats and for “festival seating” – which wasn’t seating at all, but rather first-come, first-served, standing-room-only spots on the floor in front of the stage. At 7 p.m., the scheduled time for doors to open for the 8 p.m. show passed, restless fans, some of whom could hear the band’s sound check inside, began pounding on the glass doors. Some fans mistakenly believed that the concert was already starting. At that point, the entire crowd surged and pushed toward doors, causing hundreds to get trampled. Eleven people were unable to escape the dense crowd pushing toward them and died by asphyxiation. Twenty-six other people reported injuries. The concert went on as planned, with the band members not told of the tragedy until after their performance. 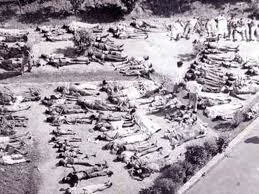 1984 – In the early morning hours, one of the worst industrial disasters in history begins when a pesticide plant located in the densely populated region of Bhopal in central India leaked a highly toxic cloud of methyl isocyanate into the air. Of the estimated one million people living in Bhopal at the time, 2,000 were killed immediately, at least 600,000 were injured, and at least 6,000 have died since. 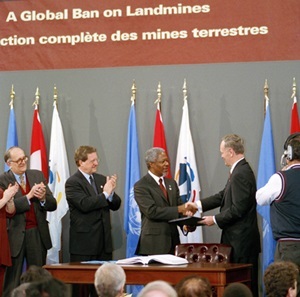 1997 – In Ottawa, Canada, representatives from 121 countries signed the Ottawa Treaty, prohibiting manufacture and deployment of anti-personnel landmines. The United States, People’s Republic of China, and Russia did not sign the treaty. In fact, of the 10 largest militaries in the world (China, USA, Russia, India, North Korea, Turkey, South Korea, Pakistan, Iran, Egypt, Vietnam), none of them have still signed the treaty. While most of these countries concern themselves with nuclear weapons, one of the world’s most deadly weapons remains unaddressed. 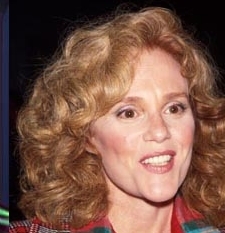 1999 – Actress Madeline Kahn (Young Frankenstein, High Anxiety, Nixon and a two-time Academy Award nominee: Blazing Saddles and Paper Moon) died of ovarian cancer at the age of 57. 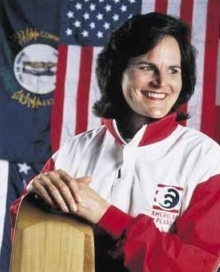 1999 – Tori Murden McClure became the first woman and the first American to row solo across the Atlantic Ocean. After rowing 2,962 miles in 81 days, she eased her 23-foot boat, American Pearl, to the dock at Fort-du-Bas on the French Caribbean island of Guadeloupe. 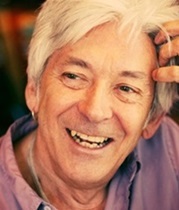 2014 – Ian McLagan, a Rock and Roll Hall of Fame keyboardist with The Small Faces (Itchycoo Park) and The Faces (Stay With Me), died of a stroke at the age of 69. My dad loved Madeline Kahn! So did I. She was an outstanding actress. Sadly … political mudslinging seems to have been around forever ……. only difference is now there are more platforms to from which to sling……. Wow, you nailed it with the “there are more platforms to from which to sling” comment!